One of the essential pieces of a party is the wine, and of course it would be a travesty if you served warm wine. 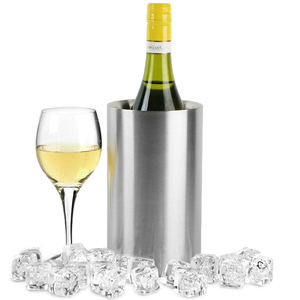 This superb Stainless Steel Double Walled Wine Cooler from bar@drinkstuff is all you need! Helping to keep your pre-chilled bottle cooler for longer, while preventing condensation marks on your table top this cooler is ideal for your bottle of wine or champagne. 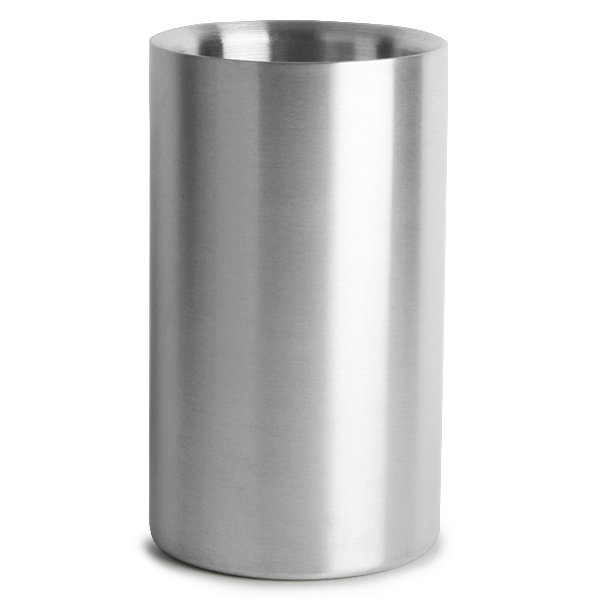 With a double-walled stainless steel construction with a brushed finish, this wine cooler both stylish and virtually unbreakable. "We are gathering what we require for a family Christmas dinner. The produces although not used as yet appear to be of excellent quality at a very reasonable price.I have found so far excellent service." "Bought several of these, items as expected and at a very good price. Delivered quickly"
"The product was value for money and came quickly. Smart and simple but effective design. Would recommend." "When I first ordered the product it was unfortunately out of stock but the automated email service informed me as soon as it was back in stock. The order arrived when expected. The product was well packed to avoid damage. 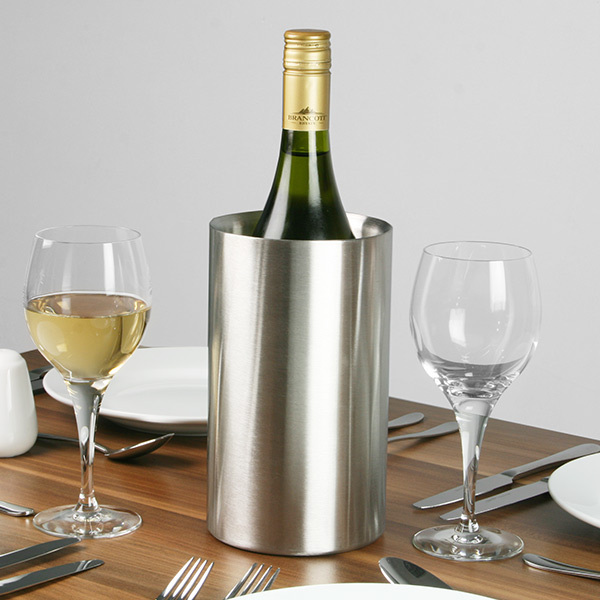 The product itself is very stylish in a brushed steel finish which excellent for presenting wine to our customers in. The cooler itself with its double skin design keeps the wine cool."